I get it. They want us to visit the front page of Squidoo.com more often. The trouble is, if one is working between three accounts all the time, every time you logout, you get tossed to Squidoo.com, and then you can login, and then you get tossed to Squidoo.com, and THEN you can get back to your dashboard. Argh! It was fun for the first day in the half, but I am tired of having to go to Alberta by way of Atlanta. (TWA frequent flyer program — I hold long grudges.) Therefore, here’s a shortcut to the Squidoo login pane. Don’t bother logging out. Just go to that URL and you can log in and get back to work. Thanks to TheFluffanutta of SquidUtils for reminding me of this. Do you check your long-term (or at least medium-term) stats regularly to investigate traffic sources and keyword trends? Here’s a fun trick. Make sure you’re logged into Squidoo, then click this SquidStats shortcut (I programmed it myself; it’s safe). If you find this Squidstats shortcut useful, then drag it onto your bookmarks bar. …which aren’t quite as successful as they were due to Squidoo setbacks, but that’s another issue. Even so, while I’m panicking at having my Squidoo income dropping from $600 to $400 in the next month or so due to lensrank drops and recent upheavals, I have not abandoned five key methods I use for being moderately successful on Squidoo. If you write on what you love without considering your audience, people may never read it, because they may not be interested in what you have to say. But if you use the “content farm” method of looking up what people are searching for and churning out half-hearted content, they won’t read it either, because your material won’t satisfy them. The trick is to figure out which parts of your interests, expertise and passions overlap with what lots of people on the web care about, and then use YOUR knowledge to give them what THEY want. To figure out what YOU know (the left side of this chart), see my Ten Suggestions for Squidoo Lenses, which is NOT a list of specific ideas, but a brainstorming aid. See my “New Long Tail SEO” tutorial for how I research keywords before creating a new page, and how I use traffic stats on existing pages as leads to refine my content or as ideas for new articles. See my “How to Get More Clicks, Sales” tutorial. Squidoo lensrank rewards lenses that get lots of clicks and interaction, on the theory that, hopefully, they’ve found something useful or interesting enough to click on. Clicks aren’t the only proof that your visitors have found something they like on your page, but it’s hard to gauge readers’ reactions unless they interact with the page in some manner. See the “attracting visitors with images” section of my Uploading Images tutorial. I love this method because it’s so easy to do; you can incorporate it just like capitalization and punctuation. Once I’ve landed a visitor, I try to make the most of that visitor by sending him/her to more of my content. You can’t cheat by creating a virtual scavenger hunt sending visitors from one page to the next looking for real content—if you don’t give visitors what they want, they leave in ten seconds or less. But if you’ve provided good content that your visitor likes, you have then earned his/her trust enough to recommend other related content. You’ve seen one way I’m doing it in this article: when I refer to something I’ve talked about before, I link to it. I also make heavy use of Squidoo tags for cross-linking. And I create clusters/series of articles in the same area or niche, linking them together with fancy tables of contents, the “Featured Lenses” module, the “My Lenses” module (giving all the lenses in the cluster a unique tag), or the “Rollover Feature” trick I figured out for Squidoo. You’ll notice that I don’t focus on social promotion, backlink building, or external strategies more than I absolutely must. I tweet new material, yes, but I don’t submit to directories; I don’t look for places to advertise my articles other than online communities where I’m active anyway. Instead, I concentrate on maximizing my content with on-page optimization, on-page graphics, on-page links, and pointing to my other work where and when it’s relevant and useful. Rather than taking time off to advertise, I spend as much time as I can making more content and enhancing existing content. This method takes time. It results a slow build-up of real, useful, interesting assets and content on a variety of subjects. You can do this in different ways: blog posts, more articles on multiple publishing sites, even posting photos on Flickr or videos on YouTube and linking back to related lenses. (For example, see this YouTube video where I share a Magic Trick pointing to a lens that explains the trick). The key for me is to spend my time discovering what content I have (I’ll actually dig through my hard drive looking for old school papers and photos that might be seeds for a new lens), creating unique and interesting content, and hooking it up to other nodes of my ever-growing network of content. Finally, notice that this method absolutely depends on creating original, unique, interesting and/or useful content — MY content, MY passions — rather than simply collecting and curating content. Curation can be powerful and helpful, and I’ve got a few lenses that are simply curation lists in fancy packaging. 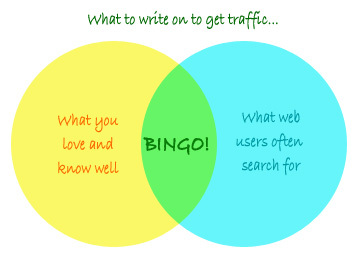 But the majority of my lenses hook visitors with interesting and/or useful content that they won’t find elsewhere. Users who search for product reviews, news or information often include the date (“best flatscreen TVs 2011″). People sometimes do this to filter results which are eclipsed by another similar but different search (“2004 eruption Mt Saint Helens” as opposed to the 1980 eruption). For certain topics, people may even include the day and month. I noticed my new Volcanic Eruptions Update lens is getting a lot of date-based hits, so I added the month/year to the end of the title. The catch, of course, is that this only works for pages which you update substantially and often enough to justify the monthly (or at least yearly) title change. Have I not mentioned this lens on Squidbits? A while back I created a lens with Ten Great Ideas for Squidoo Lenses. 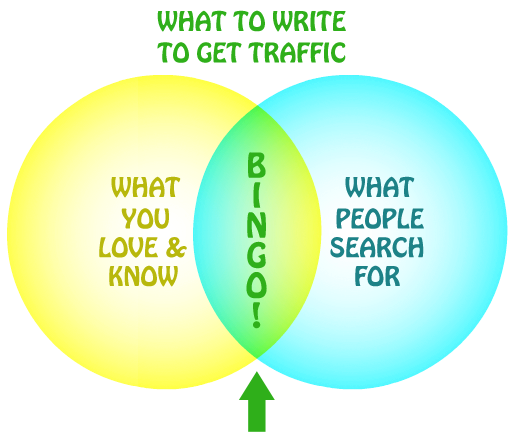 I’m talking ten general areas you can use to combine what YOU know and love to write about with what OTHER people are searching for. I’m talking ten methods that will generate lenses with a good chance of getting search traffic. I’m talking ten ideas that will tend to get clickouts and/or sales, both of which boost lensrank. I’m talking ways to create unique Squidoo lenses on topics that haven’t been done to death, so you won’t have huge competition. I just tossed in a few edits/tweaks based on winning strategies I’ve observed among Top 100 List lenses. Go look, if you haven’t. This is a toolbox that should help you brainstorm.